Our client has been running this restaurant as a proprietary concern for the last 4 years. It has a casual dinner and delivery model. It is a 800 sq. Ft 40 seater restaurant. The restaurant is situated in an excellent location. 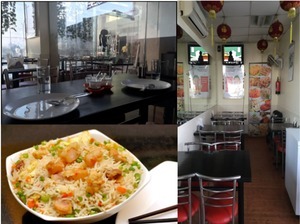 It is a standalone Chinese restaurant in the particular sector which is why they get a lot of repeat customers. It is very popular and has offices and residential units in the surroundings. The business is doing great with average sales of approximately 6 lakhs per month. The Chef and senior staff has been with the restaurant from the day one. Anyone buying the restaurant will have profitable venture from day one.